that offers almost everything needed to help you transfer music from iPod to PC & Mac computer. OR, WANT A FULL-WAY IPHONE MANAGER? 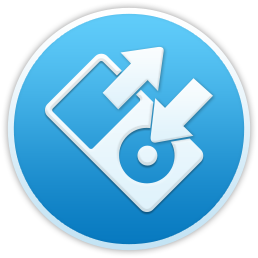 Two-Way Transfer – Fully master your iPod music, and easily transfer them to computer, or vice versa. 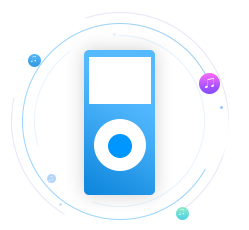 No More iTunes – Add music to iPod with simple drag-and-drop, without erasing existing tracks, no more cumbersome iTunes. Free & Competent – Manage all types of media files on your iPod, like videos, TV shows, iTunes U, etc., all for FREE. PodTrans is a fast way to transfer music between your iPod and computer. PodTrans will no longer be updated with new versions, and we’d recommend you a more advanced workaround – AnyTrans, the ultimate iOS data manager with regular updates and optimizations, that helps you transfer, manage and back up almost everything on iPhone, iPad and iPod. Also Have An iPhone or iPad? AnyTrans is HERE for You. PodTrans is a great iPod music transfer, but if you also have an iPhone or iPad, the ultimate iOS manager AnyTrans may be your optimal option. It can help you transfer, manage and back up everything including music, photos, messages, etc. on your iPhone/iPad/iPod touch, all in one place. Simply transfer everything including Photos, Music and more between iPhone, iPad, iPod, or between iOS devices and computer/iTunes/iCloud. Effortlessly manage & export Messages, Contacts, Notes, Reminders, etc. from iPhone to computer for backup, or move them directly to other iOS devices. Preview & extract all files from iTunes/iCloud backups to iPhone/iPad, and create full backups of your iOS devices with just 1 click.